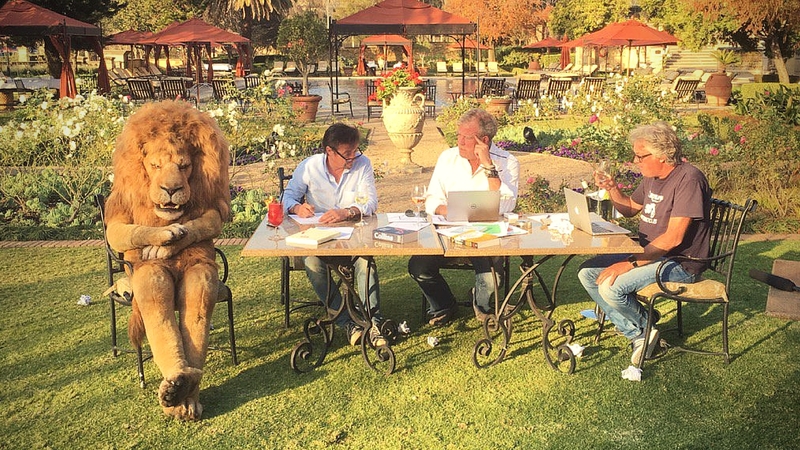 Photos and news of The Grand Tour’s first episode filming in Johannesburg, featuring a lion and possibly drunk ex-Top Gear trio. The Grand Tour is Amazon’s new car show, and is hosted by former BBC Top Gear presenters Jeremy Clarkson, Richard Hammond and James May. 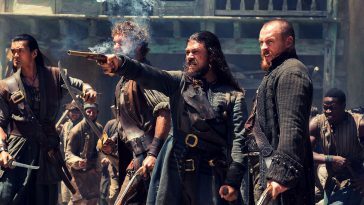 The build-up to the premiere of this new show has been hugely anticipated by fans of Top Gear, since last year, when Clarkson, no stranger to controversy, was unceremoniously fired by the BBC last year, for having punched one of the show’s producers. His two co-hosts, Hammond and May also left the show after Clarkson’s axing, and the trio reunited for a new motoring show on Amazon’s subscription service, Amazon Prime. 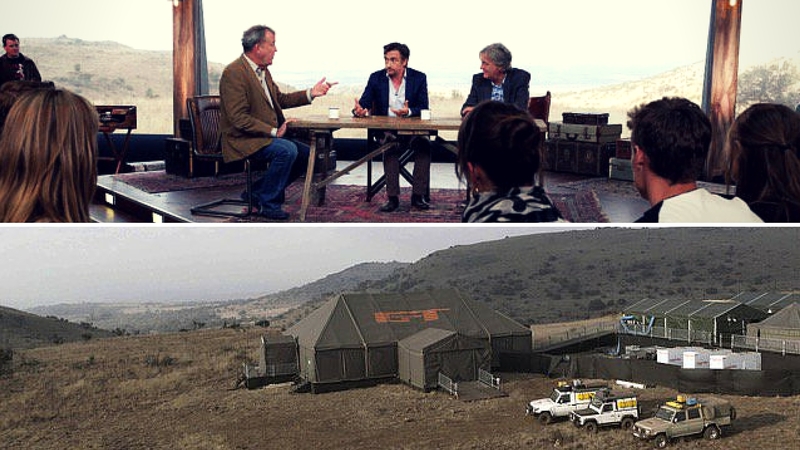 A few months ago, Clarkson claimed that “we’ll be travelling the world hosting each episode in a different country, from a giant tent.” New photos seem to confirm this, having them set up a giant tent in Johannesburg. With the confirmed exit of Chris Evans from the BBC Top Gear, it’ll be interesting to see the former Top Gear presenters one-up the show they’ve seemingly left behind. The trio have left big shoes to fill for Matt LeBlanc and Chris Harris, who will probably be taking up the mantle henceforth. 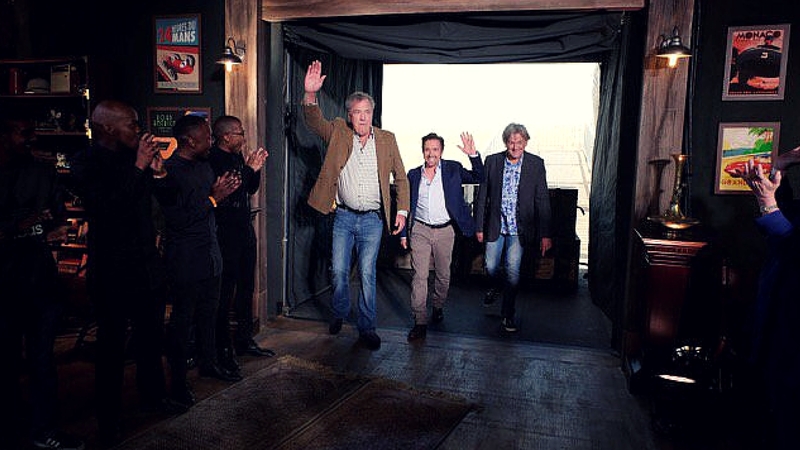 After being picked up by Amazon, the trio weren’t allowed to use the word “Gear” in their show’s name, leading them to call it The Grand Tour. The Grand Tour’s theme seems to focus more on the road-trips and exploration, which sets them up for traversing a different country every episode. Confirmed filming locations include America, Germany and their childhood locations of Yorkshire. The new set (tent) itself is smaller but more expeditious; with accompanying decor to fit the mood: numerous hats, posters, giant windows and peregrine carpets. Most important of all, though, Clarkson, Hammond, and May still appear to be having as much fun as ever. James forgot to wave, though. 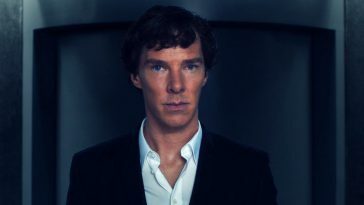 The series is expected to air in Autumn of this year.